Pioneers in the industry, we offer Coir Printed - PVC Backed, Coir Power Loom Matting, Wire Brush Coir Mat, FF Mats, Coir Coral Mat and Coir Nyla Mat from India. We are the most trusted name amongst the topmost companies in this business, instrumental in offering a high-quality array of Coir PVC Printed. Since our commencement, we are immersed in presenting an elite array of Coir Power Loom Matting. By keeping track of current market development, we are into offering an excellent range of Wire Brush Coir Mat. To meet the various requirements of the customers, we are involved in offering a wide assortment of FF Mats. Enriched by our vast industrial experience in this business, we are involved in offering an enormous quality range of Coir Coral Mat. 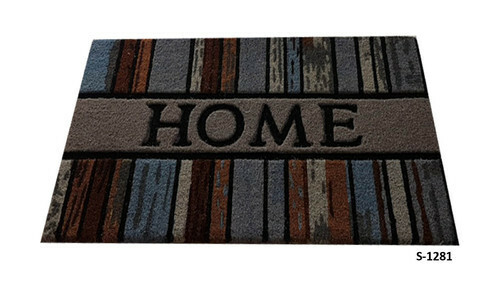 We have been counted amongst the most trusted names in this domain, engaged in offering a standard quality range of Coir Nyla Mat. By keeping track of current market development, we are into offering an excellent range of Coir Deluxe Mat.